Ancient DNA available from this time in Anatolia shows no evidence of steppe ancestry similar to that in the Yamnaya (although the evidence here is circumstantial as no ancient DNA from the Hittites themselves has yet been published). This suggests to me that the most likely location of the population that first spoke an Indo-European language was south of the Caucasus Mountains, perhaps in present-day Iran or Armenia, because ancient DNA from people who lived there matches what we would expect for a source population both for the Yamnaya and for ancient Anatolians. If this scenario is right the population sent one branch up into the steppe-mixing with steppe hunter-gatherers in a one-to-one ratio to become the Yamnaya as described earlier- and another to Anatolia to found the ancestors of people there who spoke languages such as Hittite. The thread has since logically become a trolling hell, and it seems not to be working right for hours now. Reich’s proposal based on ancestral components to explain the formation of a people and language is a continuation of their emphasis on ancestry to explain cultures and languages. 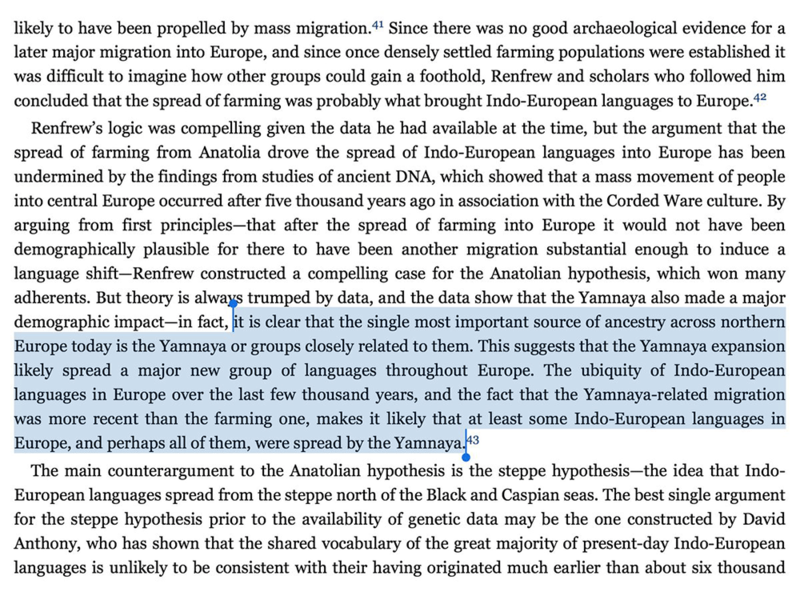 It seems quite interesting to see this happen again, given their current trend to surreptitiously modify their previous ‘Yamnaya ancestry’ concept and Yamnaya millennia-long R1a-R1b community (that supposedly explains a Yamna -> Corded Ware -> Bell Beaker migration) to a more general ‘steppe people’ sharing a ‘steppe ancestry’ who spoke a ‘steppe language’. 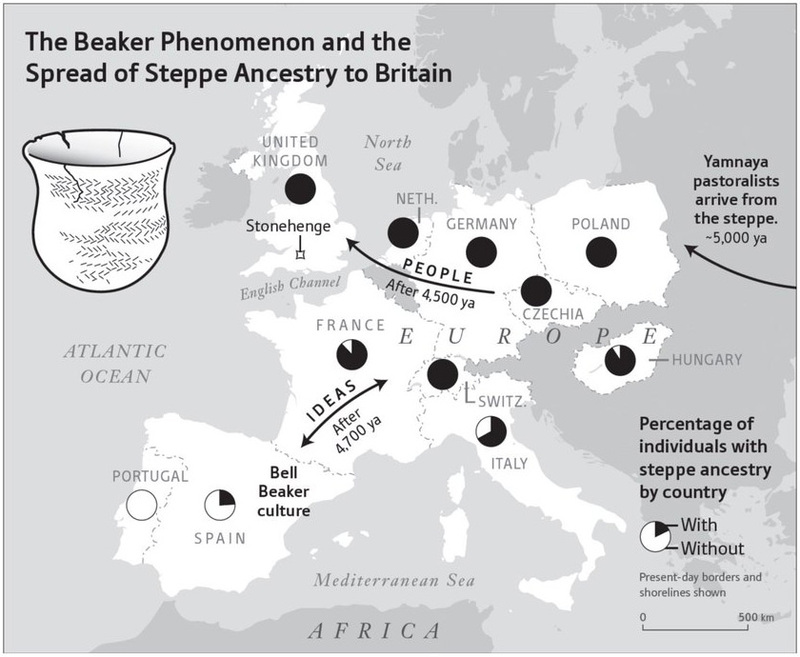 Interesting arrows of dispersal of steppe ancestry, from Yamna -> Corded Ware -> Bell Beaker, from David Reich’s new book (yes, from 2018, number one bestseller in Amazon.com). 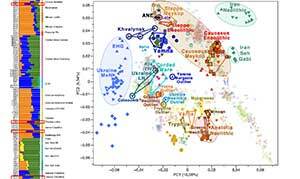 It is a conclusion based on the genomic analysis of few individuals from distant regions and different periods, and – maybe more disturbingly – on the lack of steppe ancestry in the few samples at hand. Wait, what? Steppe ancestry? So they are trying to derive potential genetic connections among specific prehistoric cultures with a poorly depicted genetic sketch, based on previous flawed concepts (instead of on anthropological disciplines), which seems a rather long stretch for any scientist, whether they are content with seeing themselves as barbaric scientific conquerors of academic disciplines or not. In other words, statistics is also science (in fact, the main one to assert anything in almost any scientific field), and you cannot overcome essential errors (design, sampling, hypothesis testing) merely by using a priori correct statistical methods. Results obtained this way constitute a statistical fallacy. Even if the sampling and hypothesis testing were fine, to derive anthropological models from genomic investigation is completely wrong. Ancestral component ≠ population. To include not only potential migrations, but also languages spoken by these potential migrants? It’s sad that we have a need to repeat it, but if ancestral component ≠ population, how could ancestral component = language? NOTE. The following dates are obviously simplified. Read here a more detailed linguistic assessment based on phonology. Most likely Pre-Proto-Anatolian migration with Suvorovo-Novodanilovka chiefs in the North Pontic steppe and the Balkans. ca. 5000 BC. 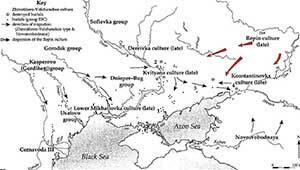 Early Proto-Indo-European (or Indo-Uralic) spoken probably during the formation and development of a loose Early Khvalynsk – Sredni Stog I cultural-historical community over the Pontic-Caspian steppe region, whose indigenous population probably had mainly Caucasus hunter-gatherer ancestry. ca. 4500 BC. Khvalynsk probably speaking Middle Proto-Indo-European expands, most likely including Suvorovo-Novodanilovka chiefs into the North Pontic steppe, and probably expanding R1b-M269 lineages for the first time. ca. 4000 BC. 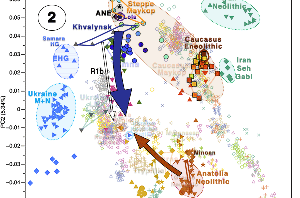 Separated communities develop, including North Pontic cultures probably gradually dominated by R1a-Z645 (potentially speaking Proto-Uralic); and Khvalynsk (and Repin) cultures probably dominated by R1b-L23 lineages, most likely developing a Late Proto-Indo-European already separated from Proto-Anatolian. ca. 3500 BC. 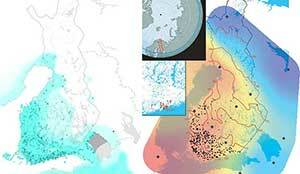 A Proto-Corded Ware population dominated by R1a-Z645 expands to the north, and slightly later an early Yamna community develops from Late Khvalynsk and Repin, expanding to the west of the Don River, and to the east into Afanasevo. This is most likely the period of reduction of variability and expansion of subclades of R1a-Z645 and R1b-L23 that we expect to see with more samples. ca. 3000 BC. Expansion of Corded Ware migrants in northern Europe, and Yamna migrants along the Danube and into the Balkans, with further reduction and expansion of certain subclades. ca. 2500 BC. 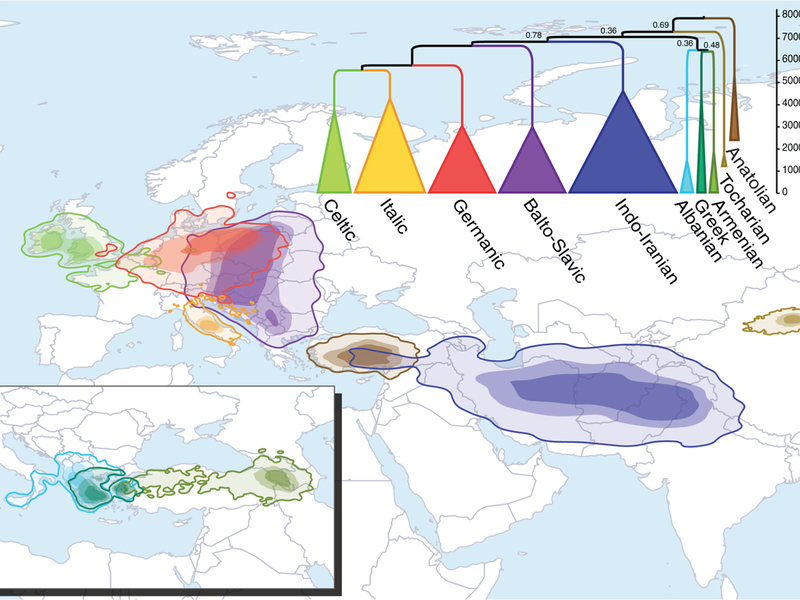 Expansion of Bell Beaker migrants dominated by R1b-L51 subclades in Europe, and late Corded Ware migrants in east Yamna expanding R1a-Z93 subclades. All these events are compatible with language reconstruction in mainstream European schools since at least the 1980s, supported by traditional archaeological research of the past 20 years, and is being confirmed with Genomics. Both images from the book, posted by Twitter user Jasper at https://twitter.com/jaspergregory. NOTE: By the way, David Anthony, one of the main sources of information for Reich’s group, never considered Corded Ware to have received Yamna migrants, and althought he changed his model due to the conclusions of the 2015 papers, he has recently changed his model again to adapt it to the inconsistencies found in phylogeography. The assimilation of a previous steppe population mainly of CHG ancestry during the formation of the early Khvalynsk – Sredni Stog I cultural-historical area. 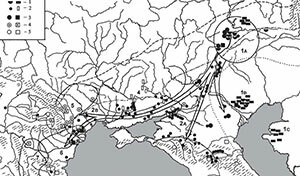 Potentially stable seasonal exchange systems during the Eneolithic among certain steppe groups with settlements of the Northern Caucasus, which may have included bidirectional exogamy practices. Just to be clear, an expansion of Proto-Anatolian to the south, through the Caucasus, cannot be discarded today. 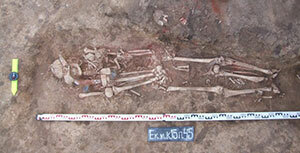 It will remain a possibility until Maykop and more Balkan Chalcolithic and Anatolian-speaking samples are published. Gimbutas and Maykop: Maykop was thought to be (in Gimbutas’ times) a rather late archaeological culture, directly connected to a Transcaucasian Copper Age culture ca. 2400-2300 BC. It has been demonstrated in recent years that this culture is substantially older, and even then language guesstimates for a Late PIE / Proto-Anatolian would not fit a migration to the north. While our ignorance may certainly be used to derive far-fetched conclusions about potential migrations from and to it, using Gimbutas (or any archaeological theory until the 1990s) today does not make any sense. Still less if we think that she favoured a steppe homeland. NOTE. It seems that the Reich Lab may have already access to Maykop samples, so this suggested Proto-Indo-European – Maykop connection may have some real foundation. Regardless, we already know that intense contacts happened, so there will be no surprise (unless Y-DNA shows some sort of direct continuity from one to the other). Gamkrelidze & Ivanov: they argued for an Armenian homeland (and are thus at the origin of yet another autochthonous continuity theory), but they did so to support their glottalic theory, i.e. 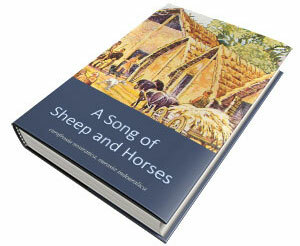 merely to support what they saw as favouring their linguistic model (with Armenian being the most archaic dialect). 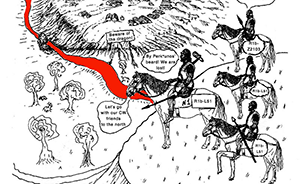 The glottalic theory is supported today – as far as I know – mainly by Kortlandt, Jagodziński, or (Nostraticist) Bomhard, but even they most likely would not need to argue for an Armenian homeland. In fact, their support of a Graeco-Aryan group (also supported by Gamkrelidze & Ivanov) would be against this, at least in archaeological terms. Glottochronology, phylogenetic trees, Swadesh list analysis, statistical estimates, psychics, pyramid power, and healing crystals: no, please, no. Nevertheless, it is obvious that prehistoric (and many historic) migrations are signalled by the reduction in variability and expansion of certain Y-DNA haplogroups, and not just by ancestral components. That is generally accepted, although the reasons for this almost universal phenomenon are not always clear. 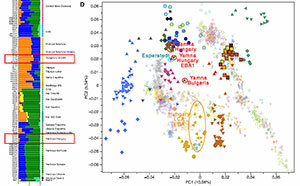 In fact, Proto-Anatolian and Common Anatolian speakers need not share any ancestral component, PCA cluster, or any other statistical parameter related to steppe populations, not even the same Y-DNA haplogroups, given that approximately three thousand years might have passed between their split from an Indo-Hittite community and the first attested Anatolian-speaking communities…We must carefully follow their tracks from Anatolia ca. 1500 BC to the steppe ca. 4500 BC, otherwise we risk creating another mess like the Corded Ware one. In my opinion, the substantial contribution of EHG ancestry and R1a-M417 lineages to the Pontic-Caspian steppe (probably ca. 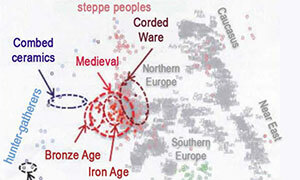 6500 BC) from Central or East Eurasia is the most recent sizeable genomic event in the region, and thus the best candidate for the community that expanded a language ancestral to Proto-Indo-European – whether you call it Pre-Proto-Indo-European, Pre-Indo-Uralic, or Eurasiatic, depending on your preferences. An early (and substantial) contribution of CHG ancestry in Khvalynsk relative to North Pontic cultures, if it is found with new samples, may actually be a further proof of the Caucasian substrate of Proto-Indo-European proposed by Kortlandt (or Bomhard) as contributing to the differentiation of Middle PIE from Uralic. Genomics could thus help support, again, traditional disciplines in accepting or rejecting academic controversial theories. 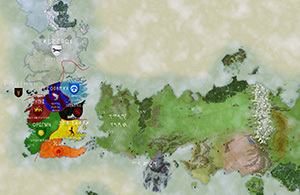 In the case of an Early PIE (or Indo-Uralic) homeland, genomic data is scarce. But all traditional anthropological disciplines point to the Pontic-Caspian steppe, so we should stick to it, regardless of the informal suggestion written by a renown geneticist in one paragraph of a book conceived as an introduction to the field. It seems we are not learning much from the hundreds of peer-reviewed, statistically (superficially, at least) sound genetic papers whose anthropological conclusions have been proven wrong by now. A lot of people should be spending their time learning about the complex, endless methods at hand in this kind of research – not just bioinformatics – , instead of fruitlessly speculating about wild unsubstantiated proposals. As a final note, I would like to remind some in the discussion, who seem to dismiss the identification of CHG with Proto-Indo-European by supporting a “R1a-R1b” community for PIE, of their previous commitment to ancestral components in identifying peoples and languages, and thus their support to Reich’s (and his group’s) fundamental premises. You cannot have it both ways. At least David Reich is being consistent.